Eureka, CA (February 1, 2019) – After a successful first season for the Humboldt Outlaw Karts in 2018, the series will return once more for 2019 at the Redwood Acres Fairgrounds. New years typically see changes in most forms of motorsports and for HOKs it will be no different as there will be improvements and additions for the upcoming year. 2018 was a year for change for outlaw kart racers in the region. The first was the creation of the Humboldt Outlaw Kart organization which wanted to not only continue on maintaining outlaw kart racing in the area but wanted to better it. Halfway through the season, the series moved from its previous home, the 1/10-mile dirt oval inside of the Redwood Acres Raceway 3/8-mile paved oval. The new track stayed on the fairground’s property, taking over the former bullring with a 1/8-mile dirt track in its place. The new track not only provided a spectacular setting for the racing action but also gave the outlaw racers their own place that they could be proud of. The six divisions that drivers and racers have come to love will be returning in 2019. That includes the Champagne Attourney Service beginner box stocks, the Williamson Financial Group box stocks, the Miclette Family Racing pure stocks, the Fortuna Wheel & Brake old fart karts, the Wes Green Landscape Materials 125-250cc karts and the NorCal Automotive 500cc/open karts. A new division will be added for the season with the addition of the stock lawn mowers. It will be the first full season of lawn mower racing at any Northern California facility and the division should quickly develop a hardy fanbase based on its popularity all over the country. 2019 will also mark the first year of a full season-long points championship battle for all divisions. Since outlaw kart racing started at Redwood Acres in 2016, each event has been a stand-alone race that did not count toward an overall championship. The addition of a championship will likely add to the on-track action and will make winning, finishing and showing up every race even more important than in previous seasons. The schedule for the Humboldt Outlaw Karts in 2019 is still tentative. Currently a test and tune is scheduled for April 20 with the seasoning opening race taking place Saturday May 4. Other race dates include May 18, June 1, June 20, August 3, August 17 and September 28. All events will be Saturday races with the June 23 race being held on a Sunday to coincide with the final day of the Redwood Acres Fair. The September 28 race will be the final race of the championship run while the October 12 race serve as an open race of sorts. A full and official schedule for 2019 will be released in the very near future. Other exciting news for the Humboldt Outlaw Karts will be the return of electronic scoring for every division with the X2 timing data system. Having electronic scoring was a necessity in regards to having a year-long championship but it will also allow drivers to follow timing and scoring in real time while also keeping track of lap times and finish results. The scoring system will allow for the return of qualifying in all divisions as well. 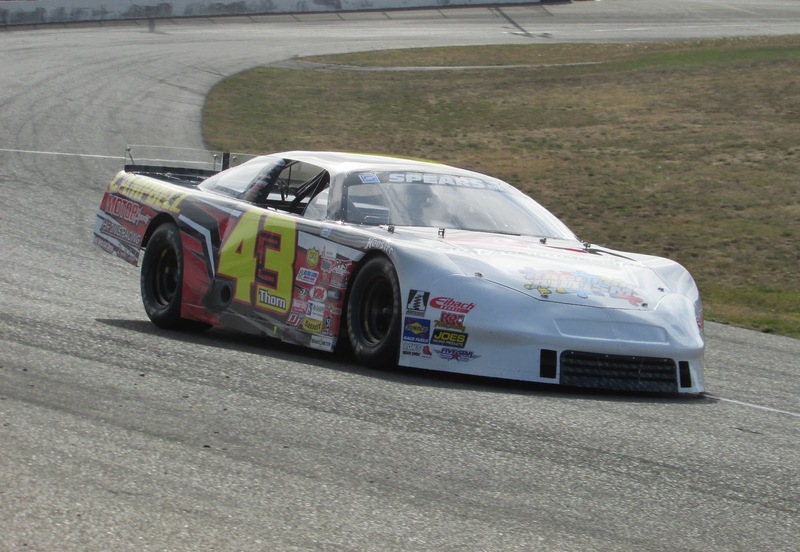 CLOVIS, CALIFORNIA (January 31, 2019) – Austin Herzog, age 16 from Clovis, CA, will open his 2019 season this weekend in the prestigious Winter Showdown 300 at Bakersfield’s Kern County Raceway Park. Austin will drive his #11 Toyota in Super Late Model racing’s richest event with a $150,000 purse on the line including $30,000 to win. Action gets underway Thursday with tech inspection and a three hour testing session. Friday’s activities include additional practice along with qualifying. The Winter Showdown 300 takes place Saturday evening, following the SPEARS Modifieds season opener. Race fans can keep up on the event by tuning into Speed51.com for live PPV coverage both Friday and Saturday. The event is also being taped for a later broadcast on MAVTV. 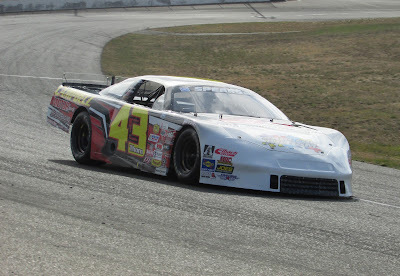 Herzog’s 2019 plans include running for the 2019 RPM Mortgage Pro Late Model Series championship at Madera Speedway, also televised on MAVTV. Austin Herzog Motorsports also intends on competing in other major regional events for both Pro Late Models and Super Late Models, with a complete such to be announced. Marketing partnerships are still available for the upcoming season as well. 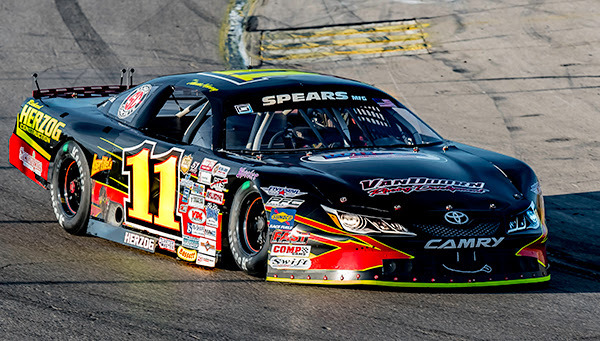 His 2018 season included fast-time at the Las Vegas Bullring Fall Classic, a top-15 finish in the Winter Showdown, runner-up in the Madera Pro Late Model standings, and a victory at Orange Show Speedway. 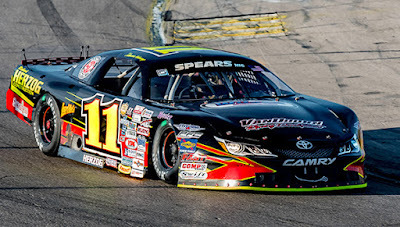 Austin Herzog Motorsports thanks Richard Herzog Construction, Superior Doors, WDF Concrete, Castech Pest Control, Stark Naked Enterprises, Wilson Motorsports, LC Services, Steve and LuLu, Jose Casillas, and Darrell Herzog Roofing for their support. Potential sponsors are encouraged to contact info@austinherzog.com for more information. Bakersfield, CA – This weekend’s Winter Showdown at Kern County Raceway is on schedule. With some rain in the forecast, the plan is to stick with the schedule and make any adjustments necessary to get all the racing in by the end of the day on Saturday. For more information about this weekend’s Winter Showdown at Kern County Raceway, go to www.srlsouthwesttour.com, www.kernraceway.com, or call 661-835-1264. Back Row - Left to Right – Eric Price II, Darrin Sullivan, Jason Philpot, Terry Deal, Ian Elliott. Williams, CA. January 26, 2019....... The fifth annual awards banquet honoring the top ten drivers in the 2018 North State Modified Series, presented by Protect the Harvest (NSMS) was held Saturday night at Granzella's Banquet Facility in Williams, CA. Business Manager Nadine Strauss acted as master of ceremonies. Speakers were Rick Avila representing the “2018 Driving Out Cancer” tour, Shake Sulikyan from the ValleyCare Charitable Foundation Cancer Services, and series co-promoters Jeff Stephens and Bob Strauss. Second place honors went Dustin DeRosier of Cloverdale. He finished in the top 10...8 out of 9 races this year. He was in the top 5 five times. DeRosier donated 10% of his winnings to the “Driving Out Cancer” fund at each race, and was the largest contributor to this worthy cause. Fourth place went to Kelseyville's Eric Johnson who also finished in fourth place in 2017. This season, after his bad luck at Shasta, he finished a solid second at Madera. His 3 top five's included a second, a third and a fourth. Seven top 10's in all plus he earned money in 3 Lucas Oil Dashes for Cash. Finishing in sixth was Terry Deal of Roseville. Deal's season bests were a second place finish at both Redwood Acres Raceway in Eureka and Ukiah Speedway. His stats saw him finish in the top 10 six times. Seventh place went to Cameron Austin of Santa Rosa. Austin was the youngest driver in the series but drove like a veteran. He raced both a modified and a Legends Car during 2018 and showed he has real talent. Austin was the Winner of the Lucas Oil Summertime Horsepower Nationals at Madera Speedway on June 9. He placed in the top five 6 times which included one first.... 2 seconds, 1 third, a fourth and a fifth. Jason Philpot of Sacramento, his family and crew, all attended the ceremonies for the first time in five years running and collected the eighth place trophy. This year Philpot won his first race ever at Redwood Acres Raceway in May. He was also the quickest car to qualify at Roseville's All American Speedway. Philpot never finished lower than eighth and had 4 top five finishes. Recognition went to all the NSMS officials as well as the series sponsors Protect the Harvest, Lucas Oil, Ward Land Management & Development, Hoosier Tire West, Naake Suspension, Sunoco Race Fuels, Five Star Bodies, Racer Bling, Keyser Racing Products, Scribner Plastics, and Frank's Radios.